Rio Grande Valley residents generally appreciate this special place in the world, where residents can see everything from migrating birds and butterflies to unique and even rare creatures such as endangered ocelots, jaguarundi and sea turtles. It even has inspired a valuable contributor to our local economy — ecotourism, visitors who come to the area specifically to enjoy the flora and fauna that make the Valley so special. So many have cringed at past parasite eradication efforts that seem inefficient and even harmful. Fortunately, a new pest-control strategy promises to be more humane — if it works. Let’s hope it does, and proves even more effective than current methods have been. South Texas brush harbors many kinds of critters, and not all of them are welcome, or beneficial. They include a type of Mexican tick that could wreak havoc on Texas’ multi-billion-dollar cattle industry. Texas is by far America’s largest beef producer, with nearly twice as many head as the second-ranked state, Nebraska. The cattle tick carries a fatal disease called babesiosis, which destroys the animals’ red blood cells. The threat of the disease and the ticks that carry them has prompted the U.S. Department of Agriculture to declare this region a cattle quarantine area. The ticks aren’t too picky, though, and when cows aren’t around they happily hop onto other animals such as deer and nilgai, an Indian antelope that was brought to Texas as game for hunters. Past efforts to eradicate the ticks have included killing off large populations of deer and nilgai, hoping they would take the ticks with them. The USDA and Texas Parks and Wildlife Department have even hired sharpshooters to fire at the animals from helicopters. A local conservation group called Las Huellas, the Caesar Kleberg Wildlife Research Institute and the USDA, hoping to develop a better tick-control strategy, have installed 150 motion-activated sprayers at six ranches in northeastern Cameron County that will spray tick-killing worms called nematodes onto the antelope. 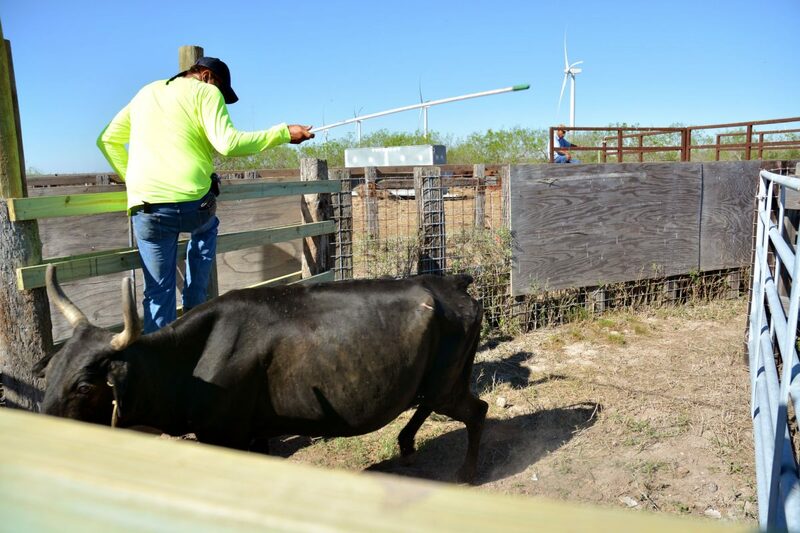 Researchers will trap the nilgai periodically and check them for ticks, hoping to determine if the spray program works. If it does, the effort will be expanded to more Valley ranches. We hope it does. Nematodes are native to South Texas and no insecticides or other poisons are being used, so the program provides little threat to the local ecological system. And it certainly beats shooting the host animals, a practice that brings to mind the old adage of using an elephant gun to kill flies. And even though expert marksmen are used in such efforts, the challenge of shooting at running animals from moving helicopters always carries the possibility of injuring the animal without killing it — something that no lover of nature would consider acceptable. We applaud the researchers who developed the remote animal-spraying program, and the Valley ranchers who agreed to use their property for the pilot program. If it proves effective, it could prove to be a powerful method of controlling or even eradicating disease-carrying parasites among grazing animals.